Thames Discovery Programme - Best of British! Established in 1976, the British Archaeological Awards are a showcase for the best in British archaeology and a central event in the archaeological calendar. Yesterday’s ceremony at the British Museum, attended by the DCMS Minister for Tourism & Heritage John Penrose MP, and hosted by Loyd Grossman, was the launch event for the Council for British Archaeology’s two-week Festival of British Archaeology. 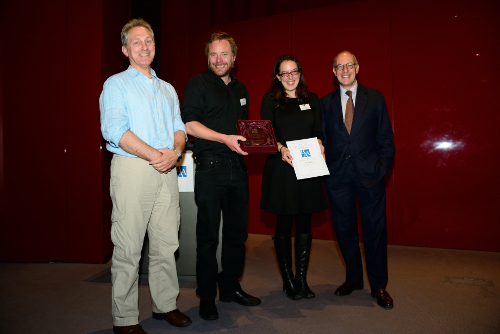 The Thames Discovery Programme won the award for the Best Community Archaeology Project! This is a huge achievement – congratulations to everyone!